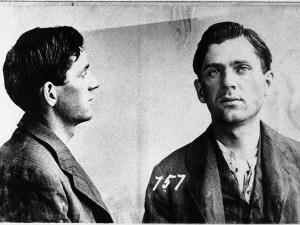 The son of Polish immigrants, Czolgosz worked for the American Steel and Wire Company, was fired for striking, and became a confirmed anarchist. On August 31, 1901, he moved from Ohio to Buffalo, New York, rented a room near the site of the Pan-American Exposition, which he knew that President McKinley was scheduled to visit. On September 6, armed with a pistol that he had concealed in a handkerchief, Czolgosz went to the exposition, assumed a place in a line of McKinley wellwishers, and shot the president twice at pointblank range at 4:07 p.m. McKinley died on September 14.